The IT Business System Analyst Intern will assist Strategic Planning and Technology business unit by modeling enterprise architecture (EA) information using newly deployed EA tool as part of the Enterprise Architecture Phase 2 project. 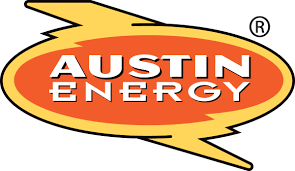 The intern will be supplementing internal resources while modeling this information and will gain hands on experience modeling a large enterprise, Austin Energy. Interns will be paid: $20.00 per hour. 1. Meet with decision makers, system owners and end users to define business, financial and operations requirements and systems goals. 2. Assist with requirements gathering sessions to elicit requirements, specifications, business processes and recommendations related to potential IT solutions. 3. Create models, use cases, process flows, specifications, diagrams and charts to provide direction to developers, designers, and vendors. 4. Assist with converting requirements into developing a statement of work for use in requests for proposals. 5. Evaluate compatibility and interoperability of commercial off-the-shelf or in-house technology systems. 6. Review and analyze the effectiveness and efficiency of existing systems and assist with developing strategies for improving or further leveraging these systems. 7. Perform cost-benefit and return-on-investment analyses to aid in making IT business decisions. 8. Conduct research on software and hardware products and technology services to justify recommendations and to support purchasing efforts. 9. Write and deliver reports, recommendations, or alternatives that address existing and potential trouble areas in IT applications across the organization. 10. Coordinate and perform tests, including end-user reviews, for modified and new systems, training and other post-implementation support. Knowledge of concepts and principles of application programming, database and system design including Internet, and network architectures. Knowledge of legacy, and web-based systems interfaces. Knowledge of importing data for use in report software, spreadsheets, graphs, and flow charts. Knowledge of cost-benefit analysis and total cost of ownership modeling. Skill in performing requirements development, process modeling, reporting and project management tools. Skill in developing process models and data flow diagrams using industry-standard modeling techniques. Skill in selecting and using training/instructional methods and procedures appropriate for the situation when learning or teaching new concepts. Ability to accurately identify/determine customer needs and take appropriate actions and/or steps to address identified needs. Ability to recognize, value, and include different perspectives, experiences, approaches, and cultures in achieving organizational goals. Ability to gain and maintain the trust and confidence of others and the organization through consistency and reliability. Ability to give, receive, or share thoughts, ideas, perspective, and data to create shared understanding. Ability to define, analyze, and find solutions for difficult or complex problems. Ability to view the big picture. Ability to quickly become familiar with emerging technologies. Ability to identify trends as well as isolated events.